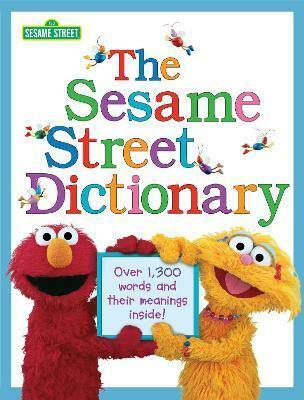 This first book of words and their meanings is one of the best-loved Sesame Street titles published by Random House. It includes more than 1,300 entries, which include verbs, nouns, and adjectives. The full-color illustrations are full of trademark Sesame Street humor, making this book as much fun to leaf through as to use to look up a word. This first book of words and their meanings is one of the best-loved Sesame Street titles published by Random House. It includes more than 1,300 entries of verbs, nouns, and adjectives. The full-color illustrations are chockablock with trademark Sesame Street humor, making this book as much fun to leaf through as to look up a word. Plus each book comes with a special gift, a CD sampler of classic Sesame Street songs, including "Elmo's Rap Alphabet," "Off to School," and "Cookie's Rhyming Song"!